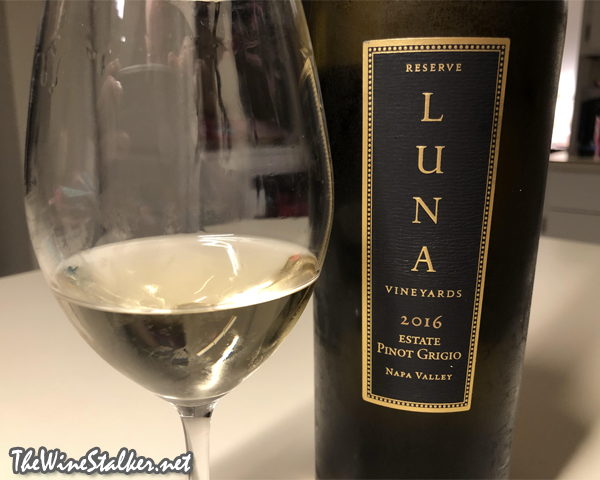 Luna was the first to plant Pinot Grigio in Napa Valley's Silverado Trail, and the 2016 vintage is 100% Pinot Grigio that saw fermentation in neutral barrels and lees aging for five months. It'll run you around $32 and, man, is it worth it. It's an orange and lemon bomb that has an alluring minerality and fresh herbs on the nose, and almonds and green peppers on the palate. And it's not a watery quaffer either. It's full bodied with a silky mouthfeel and a bright acidity that come together to make a stunningly beautiful finish. I am absolutely impressed by this wine, and that rarely happens for me with Pinot Grigio.